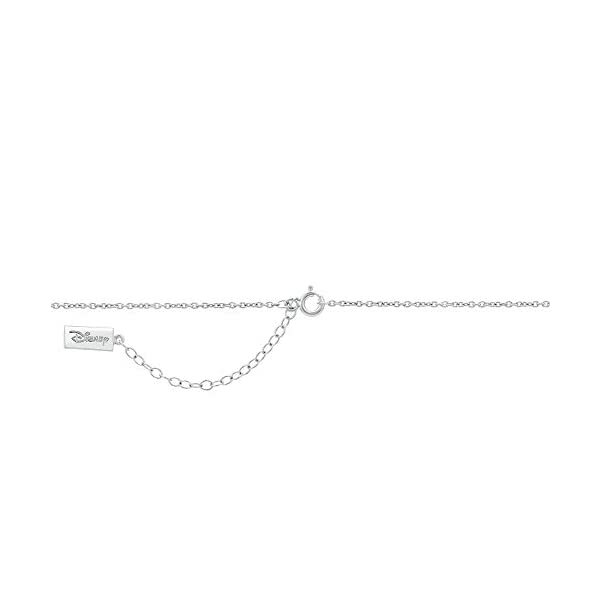 An 18 inch sterling silver cable chain completed with a Disney tag. 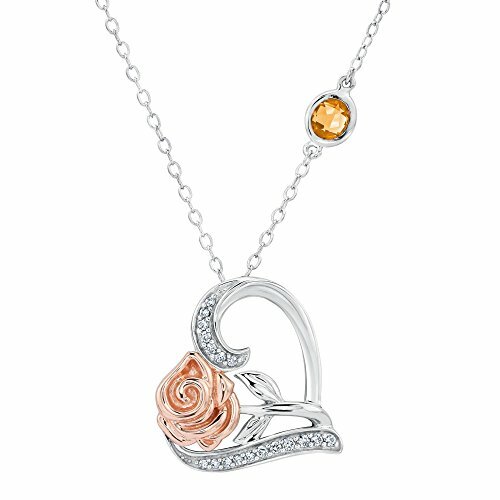 From the Enchanted Disney Collection, Belle’s diamond decorated heart pendant that boasts the infamous rose is bound to make your good looks blossom! 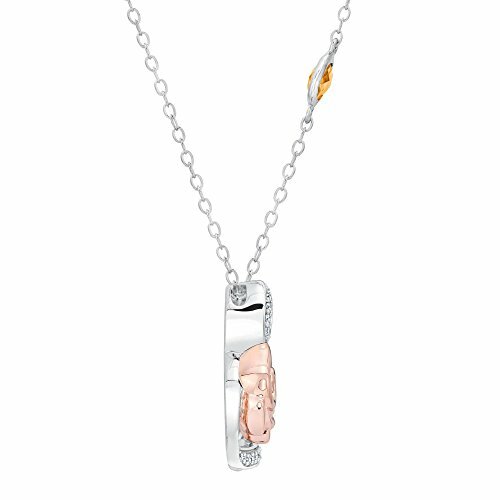 Crafted from sterling silver, the center flickers with 18 spherical diamonds and the enchanted rose is rose gold plated for an additional pop of romance! 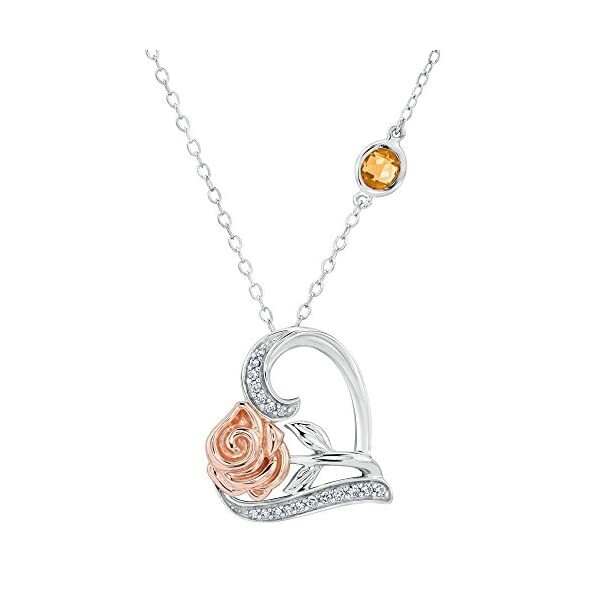 A spherical, bezel-set citrine the colour of Belle’s iconic ball robe asymmetrically accents the pendant that measures 17.5mm in duration and 18mm in width. 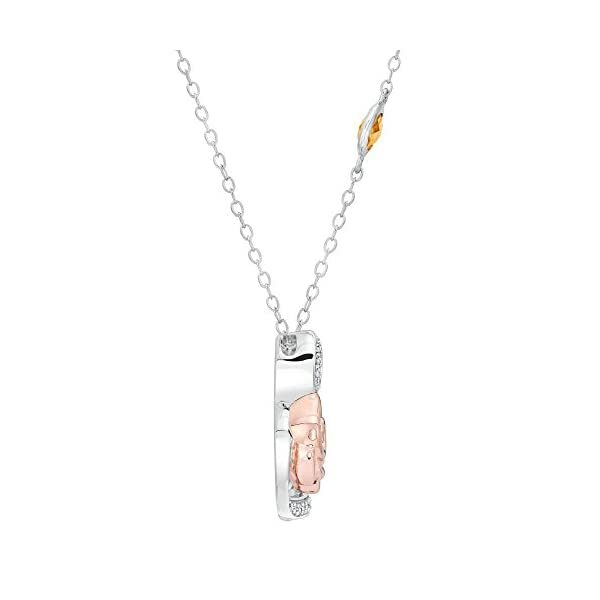 Diamonds are 1/10ctw, J or better in color, and I3 or better in clarity. 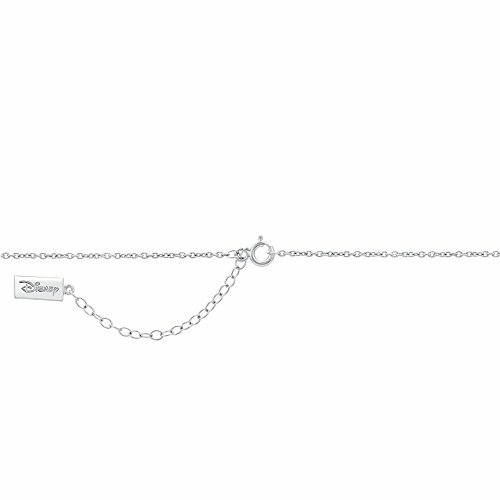 An 18 inch sterling silver cable chain completed with a Disney tag.